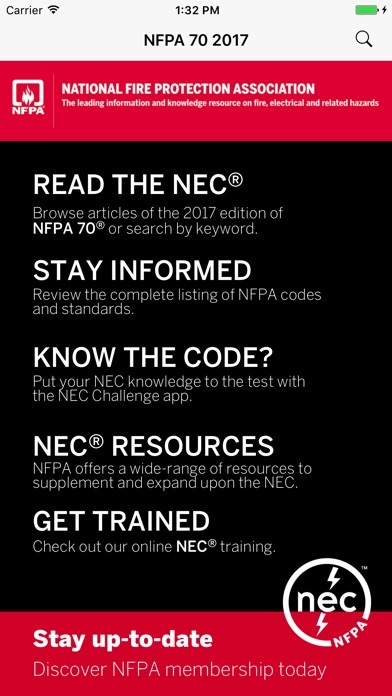 Protect those around you and help build a safer world with the 2017 NFPA 70®: National Electrical Code! The NEC® is the benchmark for safe electrical design, installation, and inspection to protect people and property from electrical hazards. Revisions in the 2017 are easily identified – gray shading indicates technical changes, an “N” icon flags new Articles, text, tables and figures. Bullets show where paragraphs were deleted. The 2017 NEC includes the latest comprehensive regulations for wiring, overcurrent protection, grounding, and installation. Hundreds of updates and five all-new Articles pave the way to safer, more efficient electrical installations. Five first-time Articles include Energy Storage Systems (Article 706) and Direct Current Microgrids (Article 712). New detailed labeling for arc flash hazard warning on equipment protects workers. Revised provisions for AFCI and GFCI protection and other changes help improve electrical and fire safety. No table of contents and no index. Get rid of advertising as well. Where else you going to get this info? Search works better than expected. 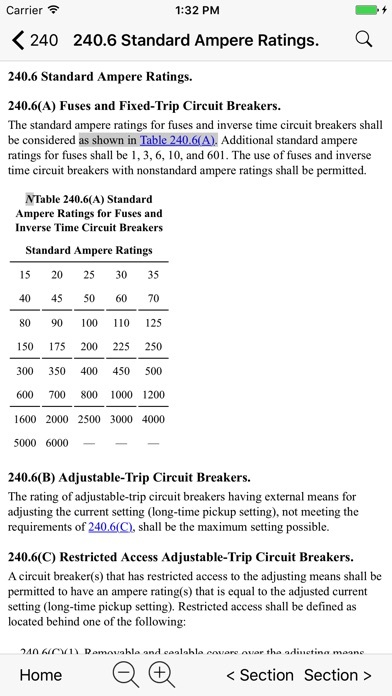 Difficult to read tables on phone. Would be nice to be able to highlight articles! Article 110 is missing all the ‘Part’ headers; i.e. “Part IV. Tunnel installations...” Instead, it skips to “110.X0 General” and you have to guess what it is referencing. Design bug: The header of the browser window covers the top of the index panel on the left. This blocks the first row or so of the index. Program Bug: If the index panel search button is used and results are found, clicking the result does nothing. There’s no iPad split screen support. The app is helpful, however as others have said adding a bookmark and highlight feature would make it surpass a physical book. Keep up the great worry thanks. Like the app, only draw back is for those of us that can’t spell, the search function needs a spell check function or a auto correct, if that happens it would be a five star! With just a little more effort this could be an absolutely awesome tool. 1) Add the ability to bookmark pages. 2) Add the ability to highlight key words and sentences.